Father Dowling lands on the wrong side of the FBI after a dying man falls at his feet. Father Dowling puts the church in a bad light when he insists on tracking down the killer. While doing so, he seems to have helped botch a FBI sting operation! Father Dowling lands on the wrong side of the FBI after a dying man falls dead at his feet. Father Dowling puts the church in a bad light when he insists on tracking down the killer. While doing so, he seems to have helped botch a FBI sting operation! A witness to a murder is pursued by the killer and he takes refuge in St. Michaels, enlisting the help of a woman he once almost married--Sister Steve. Father Dowling finds himself caught in a bizarre mystery when he attempts to prove a fellow priest innocent of murder. 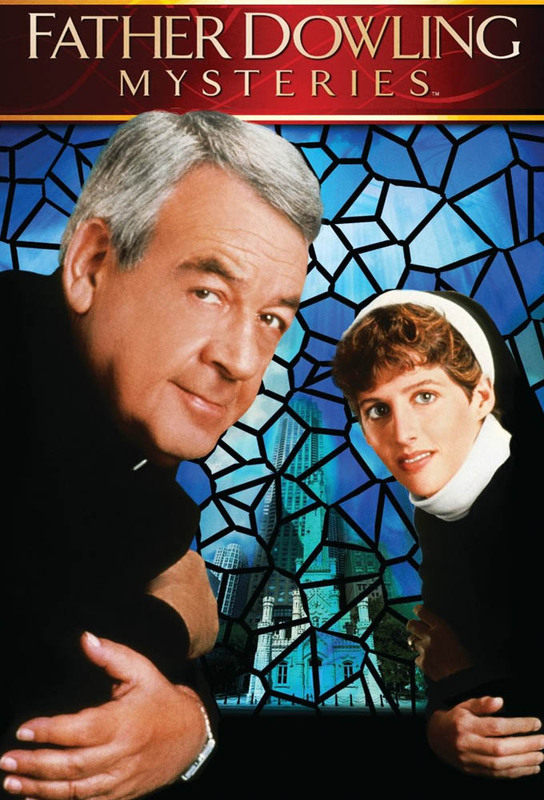 Dowling and Sister Steve get more than they bargained for when they discover the young priests family is indeed connected--to organized crime! When the good Fathers evil half-brother shows up unexpectedly, Dowling suspects right away that the evil one is up to no good. After thwarting his brothers attempted diamond heist, Dowling finds himself in hot water when he discovers that the police cant tell the two brothers apart. Father Dowling and Sister Steve find themselves in the most unlikely role of parents when an abandoned baby is discovered at the rectory. When they attempt to reunite mother and child they learn that the mother is being chased by violent kidnappers.